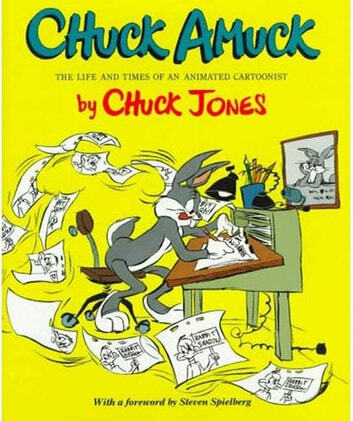 Winner of three Academy Awards and numerous other prizes for his animated films, Chuck Jones is the director of scores of famous Warner Bros. cartoons and the creator of such memorable characters as the Road Runner, Wile E. Coyote, Pepé Le Pew, and Marvin Martian. 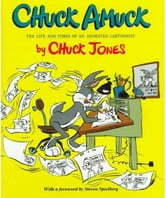 In this beguiling memoir, Chuck Jones evokes the golden years of life at "Termite Terrace," the Warner Bros. studio in which he and his now-famous fellow animators conceived the cartoons that delighted millions of moviegoers throughout the world and entertain new generations of fans on television. Not a mere history, Chuck Amuck captures the antic spirit that created classic cartoons-such as Duck Dodgers in the 241/2 Century, One Froggy Evening, Duck Amuck, and What's Opera, Doc?-with some of the wittiest insights into the art of comedy since Mark Twain.